The Neat speaker is just slightly taller than an LP leaning against it. 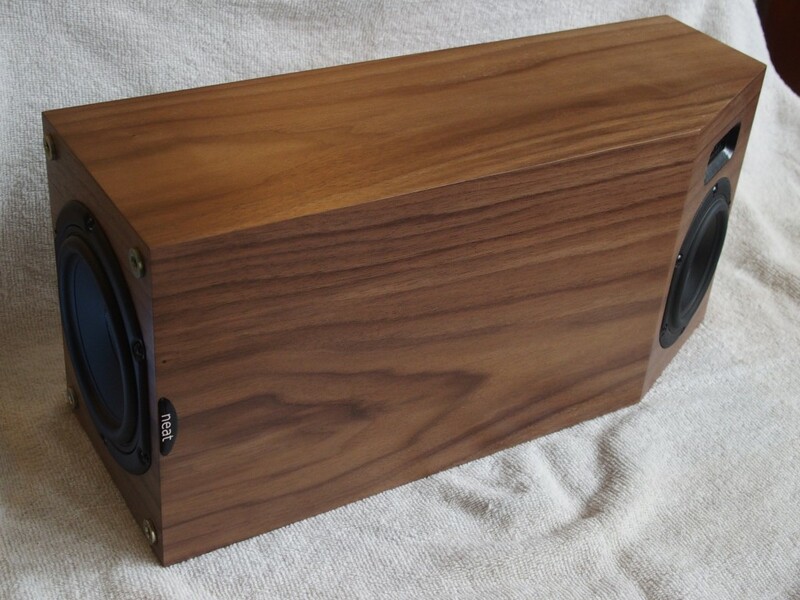 Neat Acoustics’ Iota Alpha speakers make up a little package of fun. 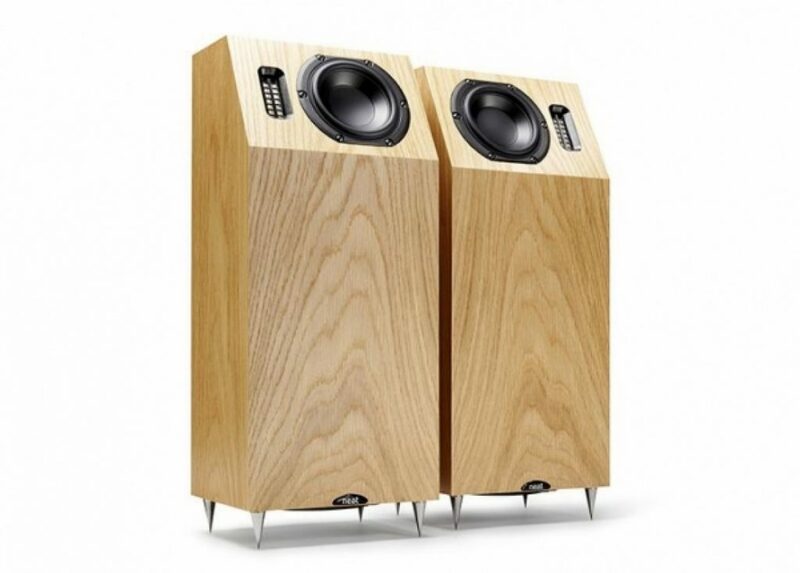 They are small floorstanders, taller than an LP leaning against it, but shorter than some bookshelf speakers. The speaker measures 17.7″ high X 7.8″ wide X 6.3″ deep. The top bit of the front baffle slopes backwards to house the bass/mid driver and an EMIT type planar magnetic tweeter. There is a bass unit at the bottom of the cabinet. The cabinet is small but it actually houses two compartments – the lower one which is a bass-reflex design for the bass unit and a sealed box design for the mid and tweeter. The speakers boast a frequency range of 33Hz to 22kHz with impedance at 4Ohms and sensitivity at 86dB, which is a bit on the low side. 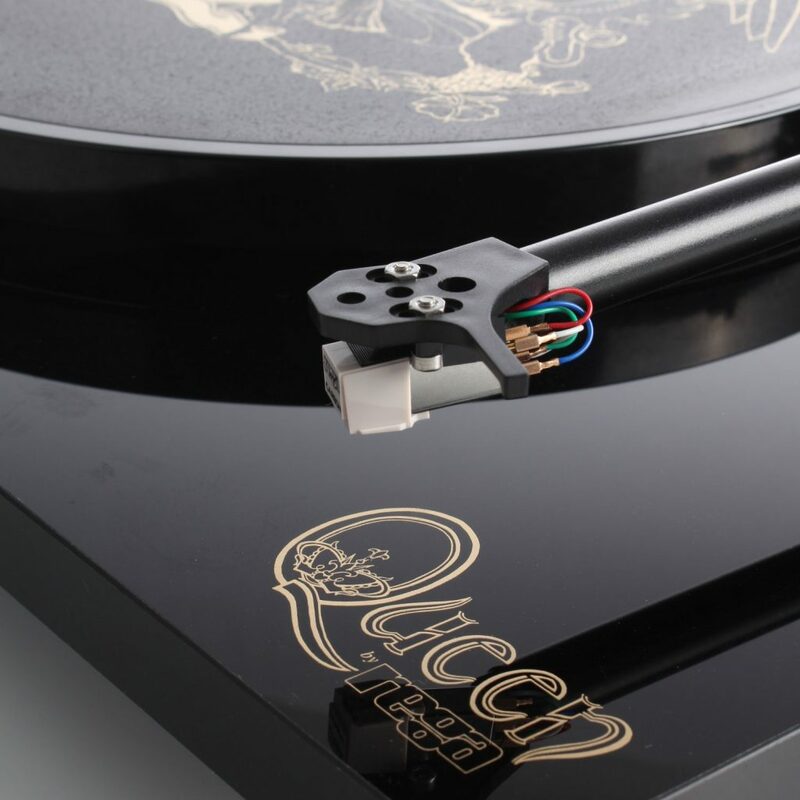 Adrian Liu of Asia Sound Equipment, the distributor of Neat products, said he has obtained good results using a 50-watt amplifier though Neat recommends using amplifiers up to 100 watts per channel. 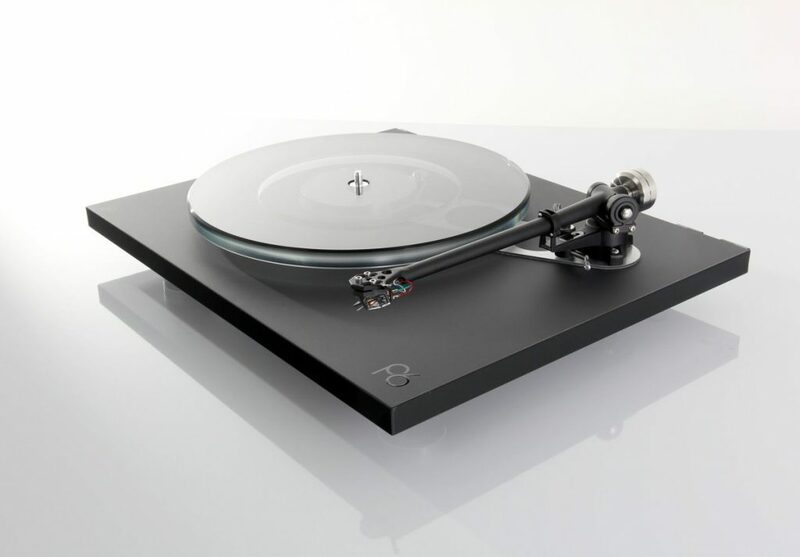 In my system, I used a 300-watter – the Bryston 4B SST – because I could not find a lower-powered amp. Just as well, as the speaker seemed to like power. In fact, I had to turn the volume knob a bit higher than I normally would with the resident ATC SCM50 floorstanders to get the music to sound loud enough. The speakers seemed a bit fussy about speaker cables. The Kimber 12TC which works very well with the ATCs did not match as well with the Neat Iota Alphas. I tried a few and ended up using the Mapleshade Double Helix speaker cables. With the Kimber 12TC, the speakers sounded muffled and muddy; with the Mapleshade Double Helix, there was much better clarity to the sound. The Neat Iota Alpha has to be used with the supplied spikes, which are longer than usual to give the down-firing woofer more space. 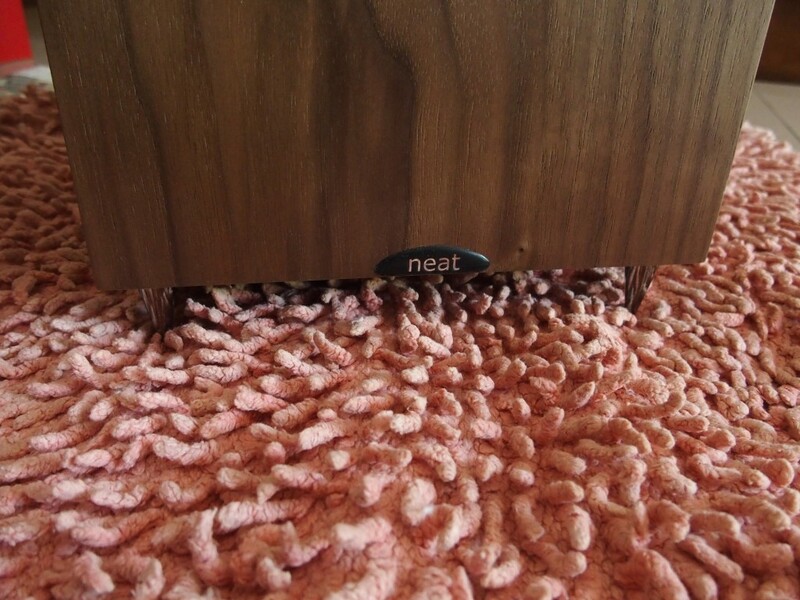 Initially I placed the Neat speakers on a hard tiled floor and was surprised by the robust and abundant bass. I decided to place a thick mat beneath the speakers to find out if the bass output would be affected. It was not and the bass was just as robust and full. Placing the speakers on a thick mat did not affect the bass. 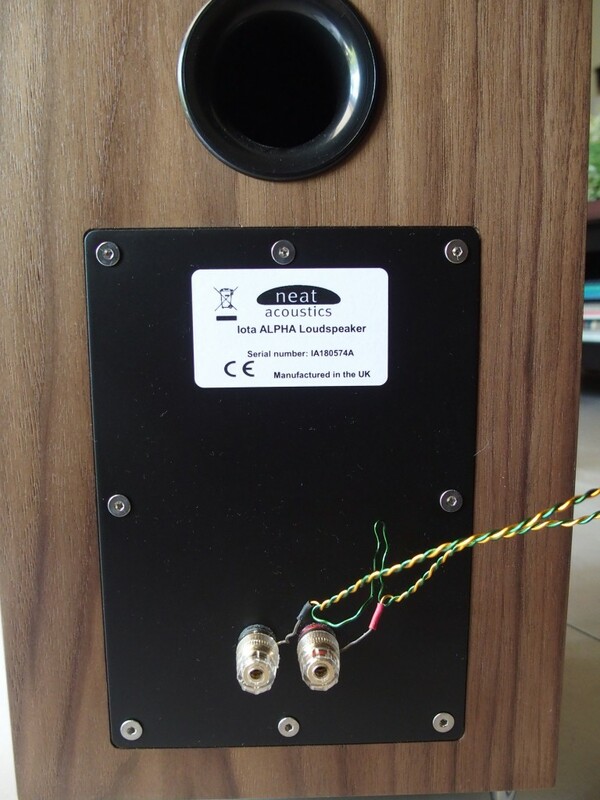 The port is located at the rear of the speaker box. Since the speakers are small floorstanders, the sound is perceived to be coming from the floor and this presentation takes some getting used to. In other words, the soundstage is much lower than I am used to and this is especially so when I listen to them standing up. But the dispersion is wide and I could walk all over the room and still enjoy the music. While the Neat speakers pump out an impressive amount of bass, the overall sound quality is not exactly the most detailed or transparent that I have encountered. When I sat in the usual listening chair, the imaging ‘solidified’, but the effect of the sound emerging from the floor was still there. However, the speakers are not fussy about placement and I put them as far apart as eight feet. They sounded better with lots of toe-in, maybe around 30 to 35 degrees. I even went all the way and placed them facing each other and the sound was still surprisingly good. In summing up, these are fun speakers. They are great conversation pieces since they are so abnormally small and cute, and with the acceptably good sound quality with a lively and full bass, they are great for parties too. 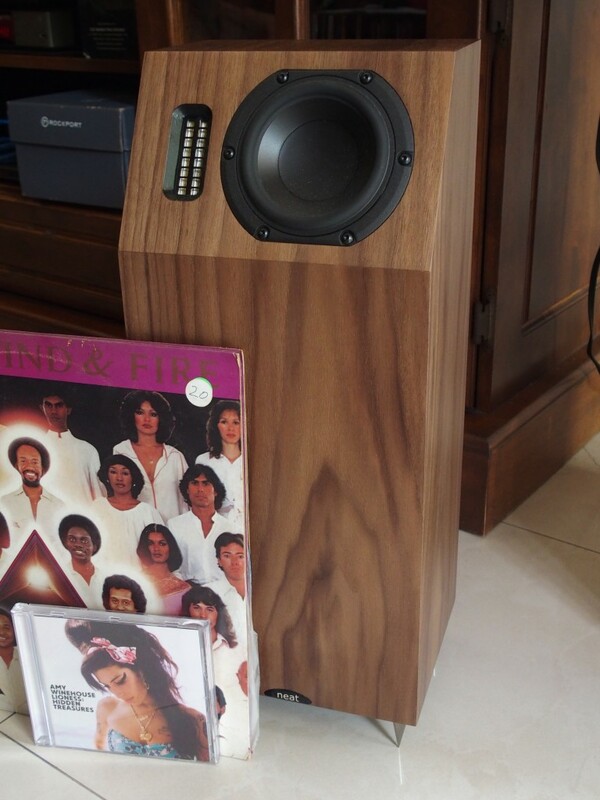 I was surprised by how well the speakers filled my largish living room with great music. Neat products are available at Asia Sound Equipment in Amcorp Mall. 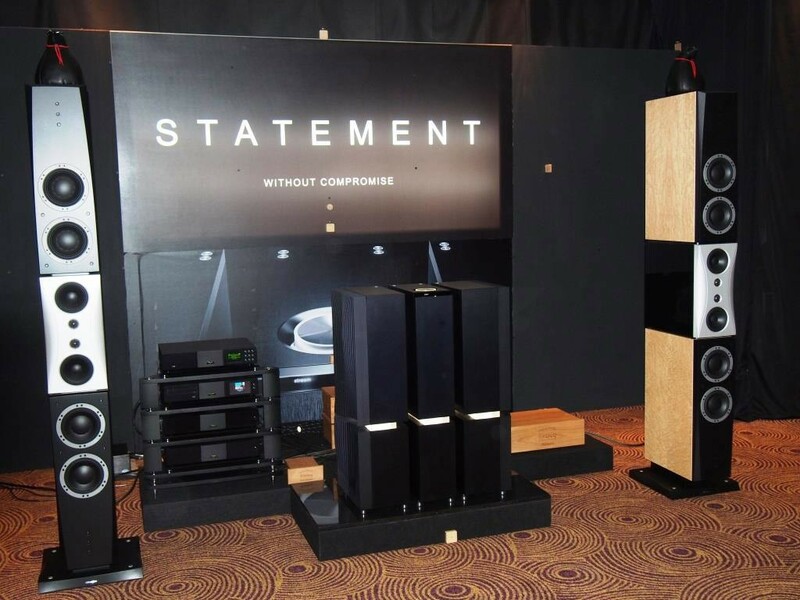 The Neat Acoustics’ Iota Alpha speakers retail at RM6,488 a pair.